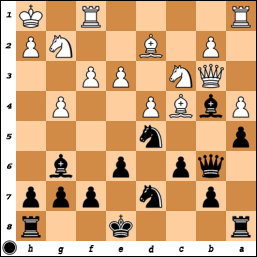 In the diagram above, we have the position from Anand-Carlsen, Bilbao 2010 after Anand’s 46.Kf2. Carlsen now played the very accurate 46…Bd7!, which essentially forces a draw after 47.Qxd7 Qxc4, as White’s king is too exposed for White to have time to grab the d6- pawn safely. But on ICC, there was a little bit of a debate over the merits of 46…Qc2+. 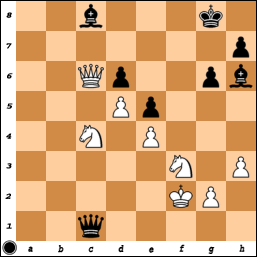 At first, it seemed a few people assessed 47.Ncd2 Qxc6 48.dxc6 as better for White. Drahacik (an FM, I don’t know his real name) then kibitzed, saying that the endgame was better for Black. After the Bilbao Grand Slam Final, there isn’t much of a wait until the next super-tournament begins: Pearl Spring starts on Wednesday! It’s a 6 player, double round-robin with an interesting set of players. By live rating, it’s Anand (2803), Carlsen (2802), Topalov (2786), Wang Yue (2753), Gashimov (2733), and Bacrot (2716). Pretty much every player comes in with some question marks.